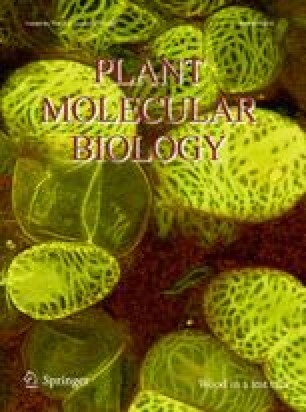 Plastoglobules (PG) are lipid droplets in chloroplasts and other plastid types having important functions in lipid metabolism. Plastoglobulins (PGL) also known as fibrillins (FBN) are evolutionary conserved proteins present at the PG surface but also to various extents at the thylakoid membrane. PGLs are thought to have structural functions in PG formation and maintenance. The targeting of an Arabidopsis PGL (PGL34) to PG required the full protein sequence with the exception of a short C-terminal stretch. This indicated that PGL targeting relies on correct folding rather than a discrete sequence. PGLs lack strongly hydrophic regions and may therefore extrinsically associate with PG and thylakoid membranes via interaction with hydrophilic headgroups of surface lipids. Here, we report on the expression of the Arabidopsis plastoglobulin of 35kD (PGL35 or FBN1a) expressed as a mature protein fused to HIVp24 (human immunodeficiency virus capsid particle p24) or HCV (hepatitis C virus core protein) in transplastomic tobacco. A PGL35–HIVp24 fusion targeted in part to plastoglobules but a larger proportion was recovered in the thylakoid fraction. The findings indicate that transplastomic PGL35–HIVp24 folded correctly after its synthesis inside the chloroplast and then dually targeted to plastoglobules as well as thylakoid membranes. The online version of this article (doi: 10.1007/s11103-012-9977-z) contains supplementary material, which is available to authorized users. We thank Stefanie Seeger and Claudia Hasse for help with plant transformation, and the MPI-MP Green Team for plant care and cultivation. We thank Dr. Marc Creus (Department of chemistry, University of Basel) for providing the Streptavidin tag and also Dr. Bruno Martoglio (Novartis Pharma AG, Basel, Switzerland) for providing the HCV core protein cassette. We thank Prof. Jean-Pierre Metraux (University of Fribourg) for kindly making space available in the greenhouse and taking care of the plants. Research in FK’s laboratory was supported by the NRP59, the University of Neuchâtel, NCCR “Plant Survival” (National Center of Competence in Research), SystemsX PGCE and the Swiss National Foundation. and UniNe. Work in RB’s laboratory was supported by the Max Planck Society and by a grant from the European Union (EU-FP7 METAPRO 244348).